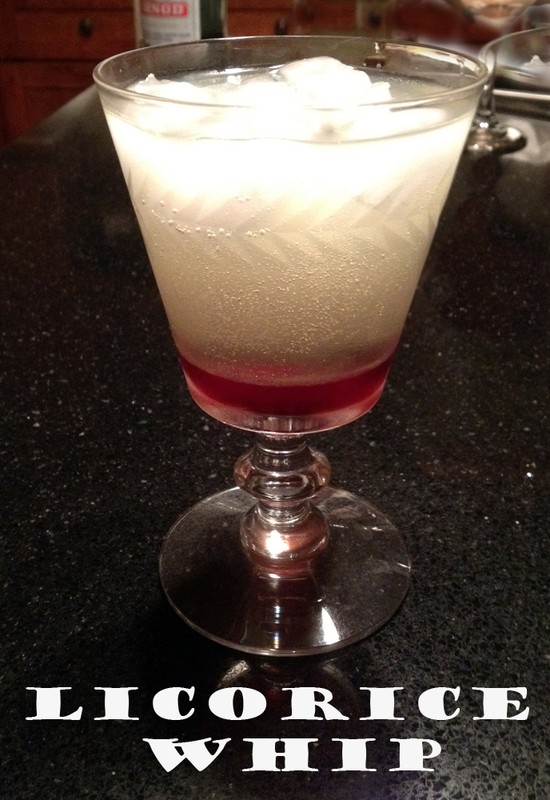 A cocktail that looks like a light, harmless milkshake — April Fool! There isn’t a drop of dairy in it. 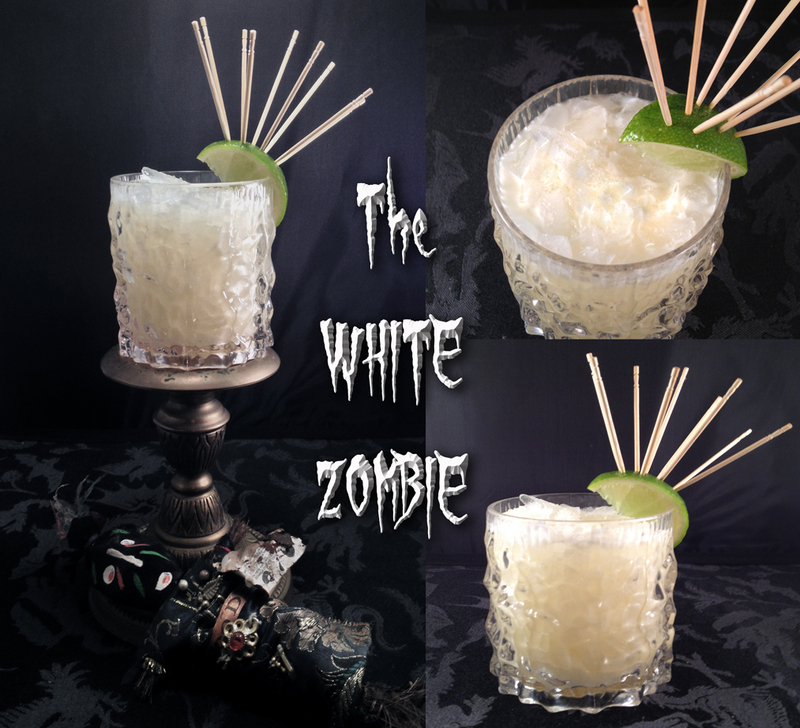 And it packs a wallop, joining that most powerful of tropical drink traditions, the Zombie. 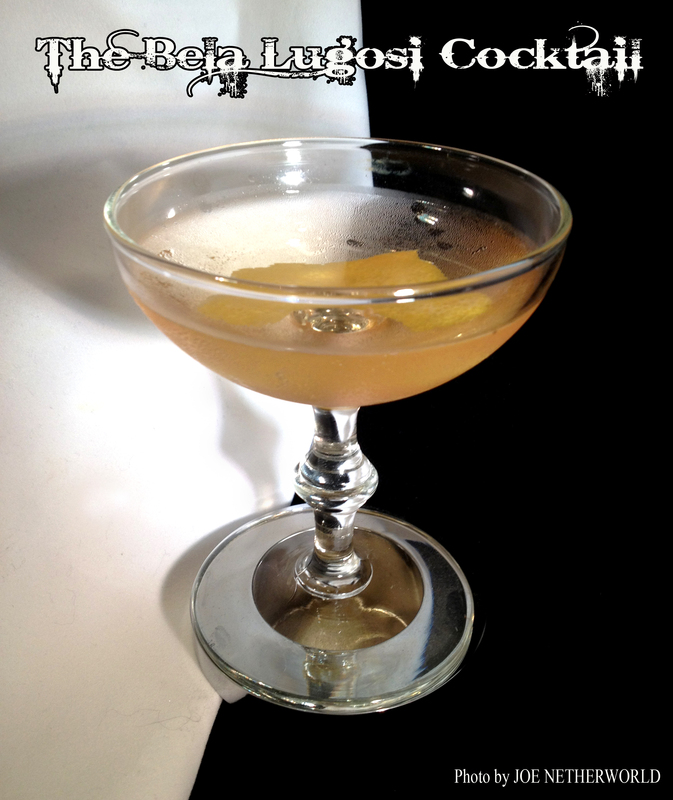 In any case, the Vultures felt it was a fitting title for this challenge to our mixology. Once it has you in its Zombie Grip, It Will Render You Powerless! 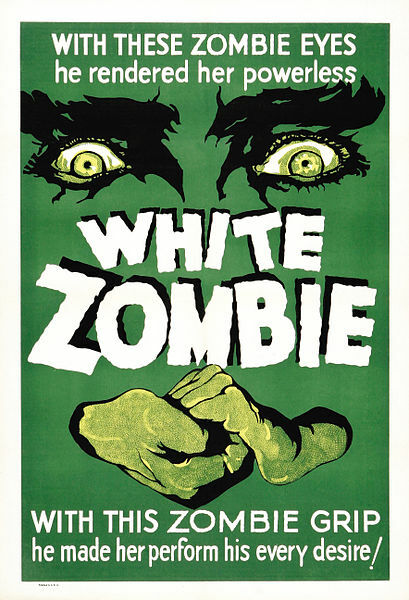 The film “White Zombie” appeared in 1932 and is worthy of notice because it’s probably the first full-length feature about zombies. 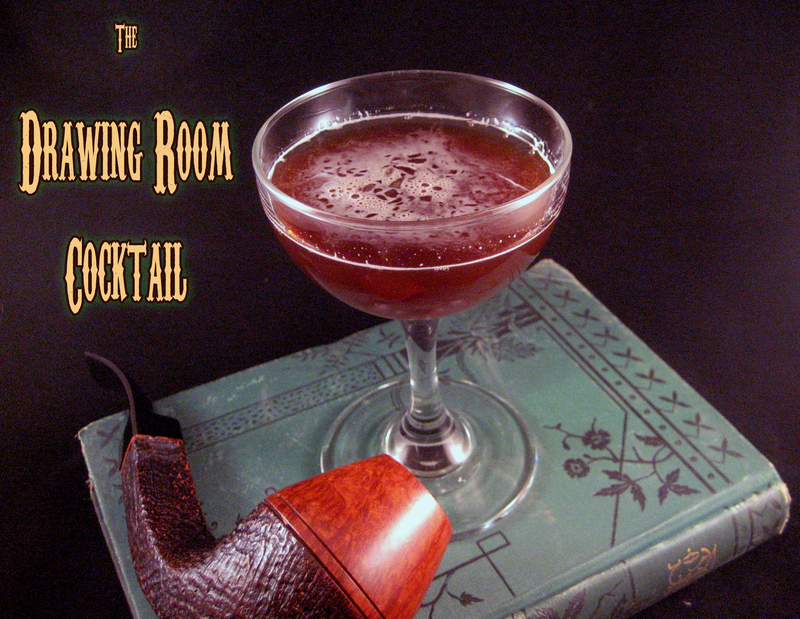 It stars our hero Bela Lugosi, who has a cocktail of his own on our blog, and its atmospheric direction gained the respect of later generations of critics who have compared it to the work of Val Lewton. Before Bela Lugosi played the immortal Count on the screen, forever identifying himself with vampires and inspiring a Goth anthem, he was a hard-working stage actor and an ambitious immigrant. In his native Hungary, he was an army captain, and won a medal for bravery at the Russian front. But later as a union organizer for actors, he wound up with a price on his head, despite his valiant service to his country. So Bela worked his way to these shores on a merchant ship, and then as a day laborer until he began securing stage roles and finally making it to Broadway. It was there that he crystallized the role of Dracula as we know him. Modern audiences are somewhat amused by the oily, overly-formal performance of Lugosi as Dracula. But putting his dark eyes, deep voice and courtly manners beside the bright-haired boys America was going to see at the time, you start to get the picture. On stage, Lugosi had an electrifying presence: he was tall, with a body toned from hard work, and when he swirled that cape around his shoulders, the ladies must have been… hypnotized. 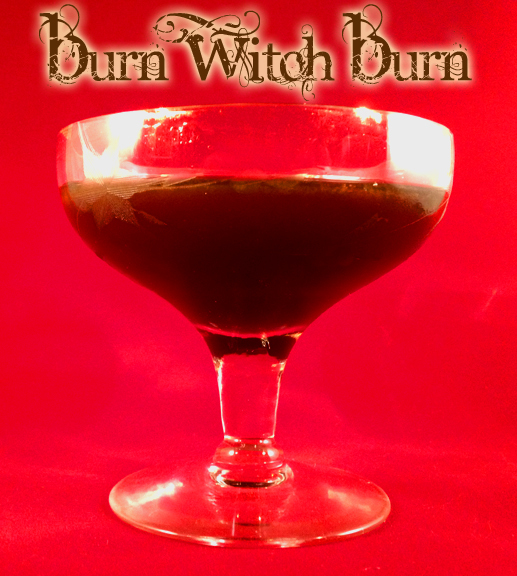 We’re sure there are lots of Dracula cocktails out there, but we wanted to create one that paid tribute to the striving actor at the beginning of his success, a two-fisted, yet elegant concoction he might swig as he came off the stage. It’s smooth, yet looks mysterious, and tastes of yesterday, silver trays, silken scarves and the lights of Broadway. The color of misty moonlight, a final addition of Port hints at the destiny about to unfold from this one immortal role. Shake vigorously. Strain into a chilled cocktail glass. Carefully add a quarter ounce of ruby Port to the center of the drink. Squeeze and flame a lemon peel over the glass and drop it in. Perhaps he never DID drink… wine. Always drink responsibly — always drink well. I watched this informative documentary on Absinthe last night via Netflix. It clears up many misconceptions about this intriguing beverage, old ones as well as new ones. Give it a viewing and then read Barnaby Conrad’s book if you’d like to know even more.